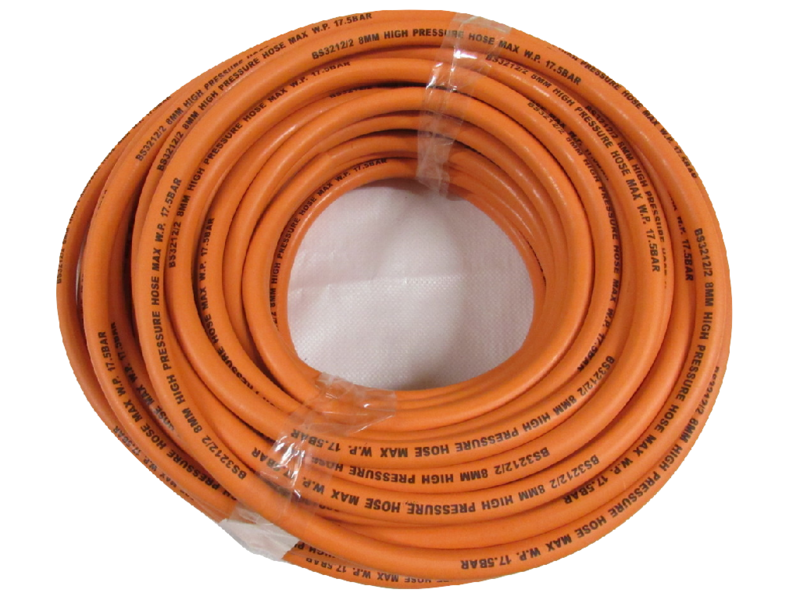 Our High Pressure Hose is used with a range of products such as gas BBQS, patio heaters and portable gas heaters which makes them ideal for caravans, motorhomes or even camping. 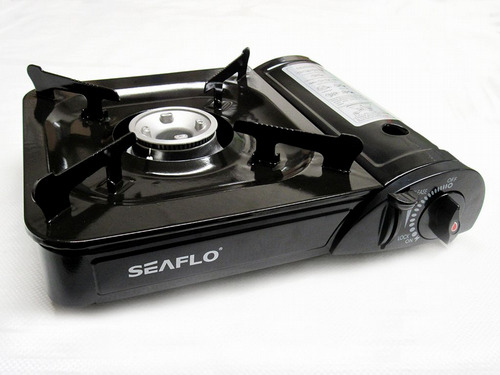 It has a working pressure of 17.5 bar and will fit many L.P.G, propane and butane regulators. 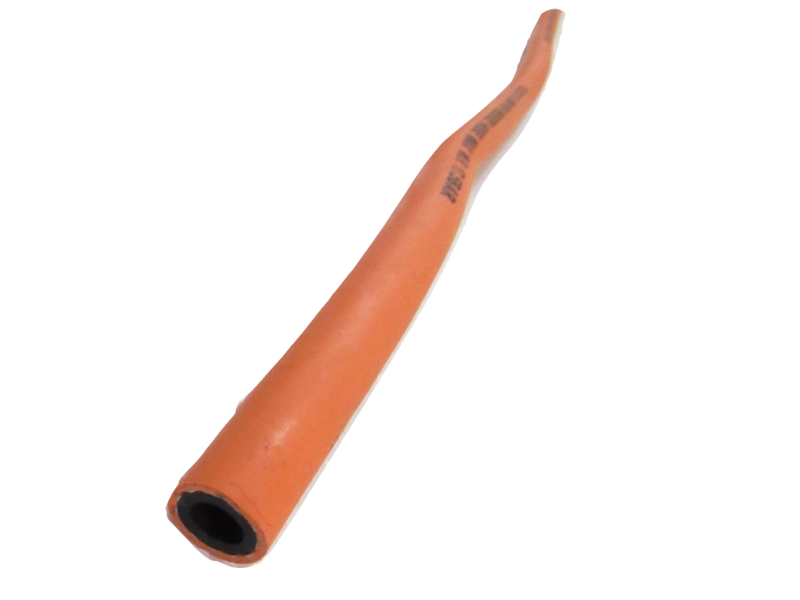 Our hosing conforms to BS3212/2. 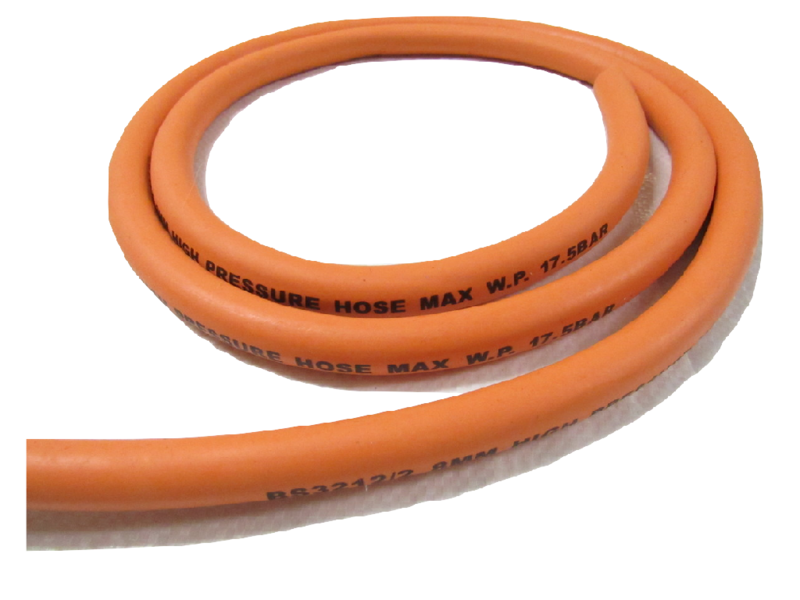 It is recommended that you change these gas hoses every 5 years for optimal safety and performance. 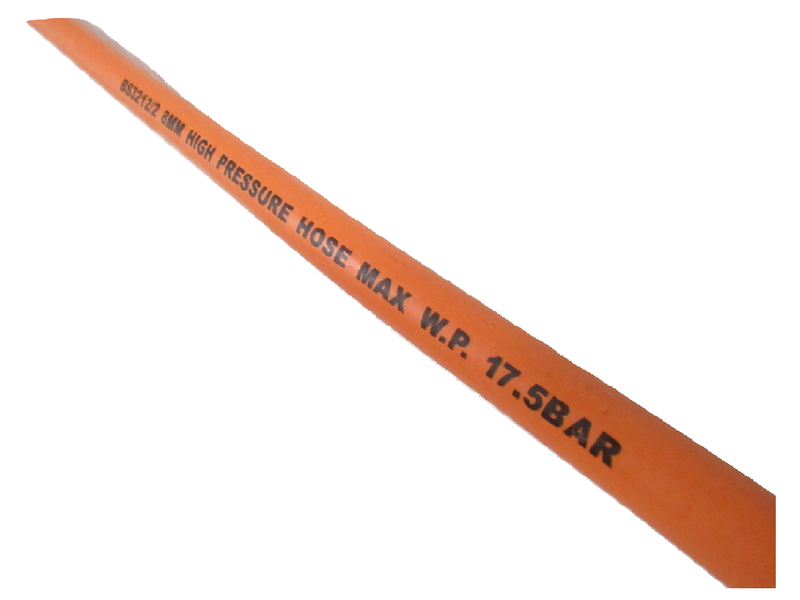 We sell this hosing in multiples of 5 metre lengths. If you require a specific length, please contact us via email or our contact page.